Article page displays the details of an article like title, content, article ID, rating, date and time of last update, the name of author, date and time of publishing, categories under which article is filed, user comments, attached files, comments, related articles, recently viewed articles etc. 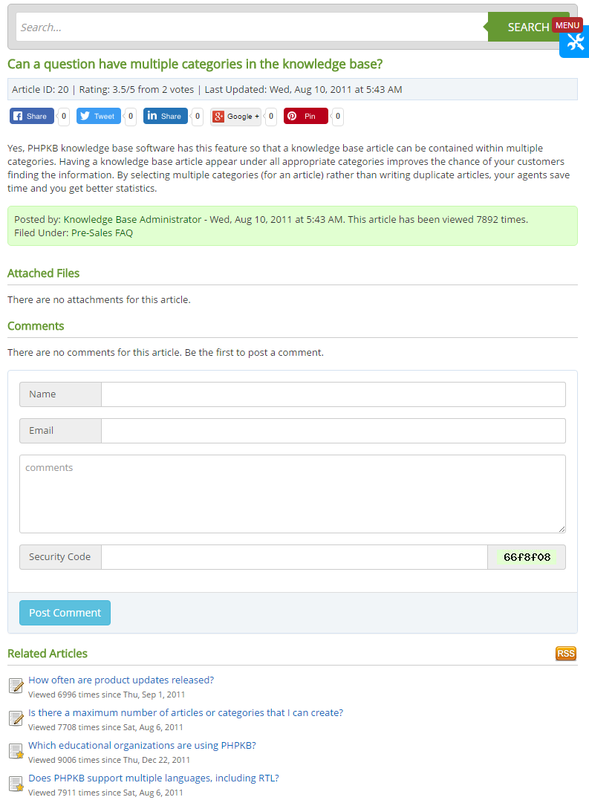 PHPKB Knowledge base software allows end- users to subscribe for articles, print article, email article to a friend, export article to PDF or MS Word, rate article. 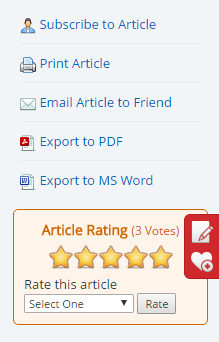 Click "Menu" bar displayed at the right side of the article page to select an option.